[MilSim] Looking for units in need of OPFOR players! Hello there! I'm writing on behalf of SNAFU, as we would love to offer our manpower to play as OPFOR for other groups, during TvT scenarios. We can provide authentic experience for your unit, taking on roles such as various militias, 3rd world militaries, or regular, eastern armies. 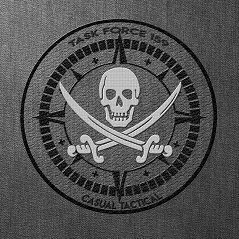 We are familiar with tactics used by such units, and we will utilize said tactics realistically, offering fun milsim experience for you. We will act accordingly to your guidelines and we'll try to do our best to adjust the difficulty of our opposition based on the unit we're playing as â€” we can drop some CAS on you using Russian forward air control procedures, but then again, we'll be just as happy to pretend we're Chechen rebels or other sorts of generic OPFOR units. As most of our players speak Polish, we can communicate in foreign language that your players will not understand. We can also act and roleplay fairly good, so we can pretend to speak in broken english or just use plain, communicative language if that's what you need, we will surely add more immersion to your missions. We're perfectly fine with being at disadvantage, as long as the mission will not be a complete waste of time for us and will be still somewhat fun; we're not playing to win here, obviously, but rather to make the experience exciting for both parties. We are used to playing heavy milsim COOP scenarios designed and curated by our missionmakers in Zeus interface; we can offer up to 10-14 players and we're fine with mixing among AIs if you wish to play against bigger enemy. You can see list of our mods here, but we're fine with downloading more content. We prefer full realism, so we're playing without things such as STHud, artillery computers etc. As a Polish community, we're based around GMT+1 timezone. Our usual playhours are 19:00 to 00:00 and we're very active. 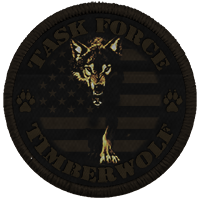 HMU on PM, or talk to any of our group members with administrator rank! Cheers, hope to hear from you guys soon. Possibly it was already mentioned but I will not read 58 pages so sorry if reposted. Is it possible to make CUP assets visible in Zeus? Even if I spawn something using createVehicle, I am unable to move it, delete it. All I am getting is insufficient resources or something like that. I remember that AiAtp assets were visible in zeus interface. It will make placed structures more interesting and also add more divercity to missions. Hello I have encountered a problem. I can log into Zeus only once, when I create the mission. Otherwise I am getting this error(pic below). Seems like Ares is taking too long to load, so TFAR thinks I am not on teamspeak and produces this bug. I have already tried validating game files, recreated my modline, redownloaded tfar and ares. I am getting this message for about a week now, before it was all good. I know there is probably nothing you can do about it, but still worth reporting I guess. @edit: Sometimes zeus interface loads properly and after 2 seconds error above pops up. That`s a negative I have alredy tried setting different values for HDR, cloud quality etc. It looks like hdr got crazy and enlightens too much. Also concerning vehicles from mods for instance rhs ones. It`s all bleachy, doesn`t matter if I look up or down. Tested on vanilla, scopes seem to be fine, but this happens in every vehicle where driver doesn`t look through camera (tanks etc.) On pickup truck it is most visible It tends to get more bleachy as I look up. I did some more testing and it appears to be caused by skies. As I look up everything enlightens, but when in vehicle this effect remains and is super annoying.